Difference between revisions of "Kuan Yin"
'''Kuan Yin''' is revered in Buddhism as the compassionate Saviouress, the Bodhisattva of Mercy. 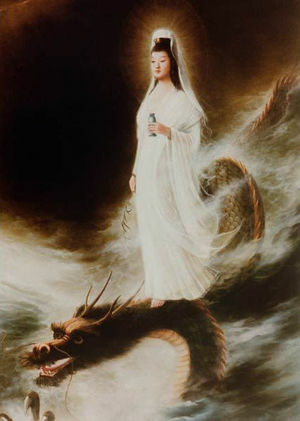 Beloved as a mother figure and divine mediatrix who is close to the daily affairs of her devotees, Kuan Yin’s role as Buddhist Madonna has been compared to that of [[Mother Mary|Mary the mother of Jesus]] in the West. Throughout the Far East, devotees seek her guidance and succor in every area of life. 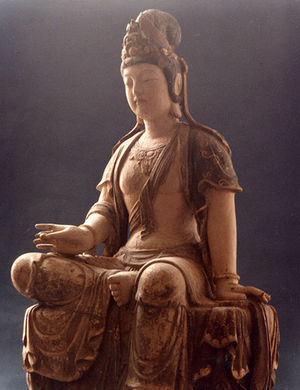 Altars dedicated to Kuan Yin can be found in temples, homes and wayside grottoes. 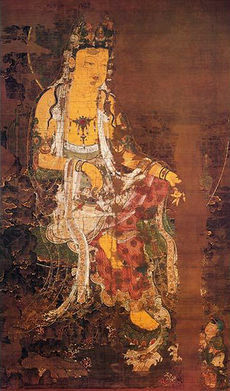 The name ''Kuan Shih Yin'', as she is often called, means “the one who regards, looks on, or hears the sounds of the world.” According to legend, Kuan Yin was about to enter heaven but paused on the threshold as the cries of the world reached her ears. Kuan Yin is revered as protectress of women, sailors, merchants, craftsmen, those under criminal prosecution and those desiring progeny. 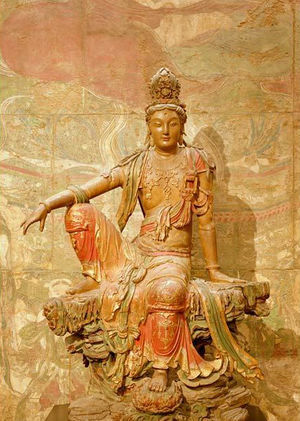 There is an implicit trust in Kuan Yin’s saving grace and healing powers. Many believe that even the simple recitation of her name will bring her instantly to the scene. ''[[Kuan Yin’s Crystal Rosary]]'' contains her mantras and is a powerful means of invoking her intercession.